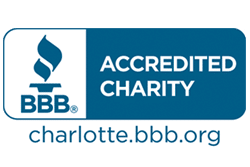 Healthy Charlotte Alliance is pleased to connect members to volunteer opportunities with local health organizations. Whether cooking a meal for families at Hospitality House after a long day in treatment, or leading an activity making trail mix for adults with developmental disabilities at Camp Blue Skies, Healthy Charlotte Alliance provides opportunities to connect you to various health nonprofits serving those in need in our community. A place for everyone’s time and talent!